Below, you will see a very small example of the train items that you will find in our train department. We have a wide selection of Roco, Fleischmann, Trix, Marklin and many more. 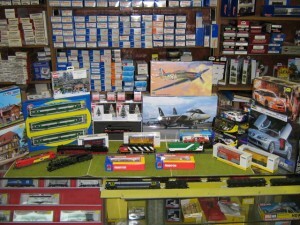 We also sell a big variety of items needed for your layout from Busch, Noch, etc. and model kits from Faller, Vollmer, Kibri, Pola and more! Don’t forget the figures needed for that layout! We have a huge stock of Preiser. There are many surprises in our shop. Come on in for a visit. Or email us with your requests. $179.99* Sold out until further notice. This HO scale model of an Ontario Northland RS-2 diesel electric road switcher is finished in the early Ontario Northland markings as delivered in the late 1940’s and in use well into the 1970’s. This model depicts the first of only two such locomotives delivered to this proud Ontario railroad. An excellent, smooth running model, suited best for the model train enthusiast. Just $99.99* Sorry, this item is sold out! Atlas Master Line Ho scale powered locomotive with working lights, digital chip and sound. 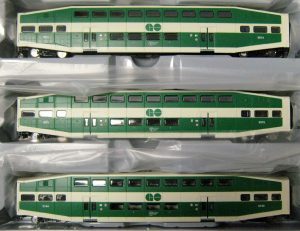 This is a beautifully detailed and running locomotive as typically used by GO Transit throughout the 1980’s. $269.99* Sold out for now! The same model (with cab # 703) is also available without sound or digital chip. $159.99* Sold out for now! Available as either coach or cab car with bell, horn, light and windscreen detail features. 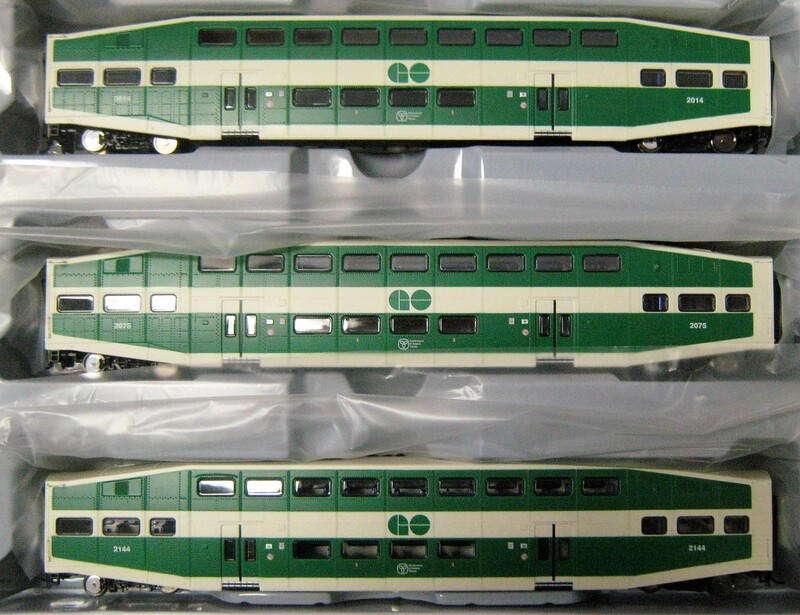 These are finely detailed models of the Bombardier units as seen daily on their Toronto and Region commuter runs. Available in different road numbers. These are very fine models suitable for those 14 years of age and above. These items are not toys. TTC PCC streetcar as seen on the streets of Toronto until the 1980’s. This is an electric motorized scale model streetcar, we have both HO and N scale models suitable for use on your proper gauge track systems. Ages 14 and up. 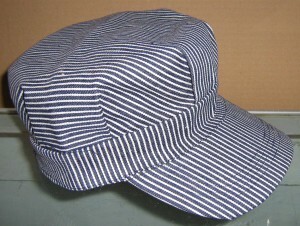 Cloth, pinstriped in both adult and child sizes with adjustable strap. Available in traditional blue as well as fashionable pink. Limited availability in infant sizes. This is a sure-fire way to add some fun and realism to the train enthusiast in your life! LOTS AND LOTS OF THEM! Two door, four door, sport and more. All kinds of special editions as well. 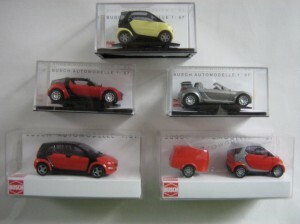 These 1/87 scale collectibles are also suitable as accessories for HO model train sets. Small in size – Big in detail! Prices range from just over $12.00 each to beyond $21.00 plus applicable tax.